New range of Touch-Screen based Power-over-Ethernet Computers have been unveiled by SkinnyBytes. The sizes of these systems are ranging from 8.9-inch to 18.5-inch, and are powered over Ethernet, which means that they do not require AC power outlets. PoE provides a cost saving low-voltage DC power, which is perfect for business and education when combined with a TouchScreen interface. Power-over-Ethernet computers are Eco-Friendly computers which are consuming ninety percent less power than the traditional computers, drastically reducing the energy bills, which is ideal for schools and business. Power-over-Ethernet computers utilize low-voltage power through a standard network cable, eliminating the requirement to install costly AC electrical receptacles, bringing a safety environment for students. 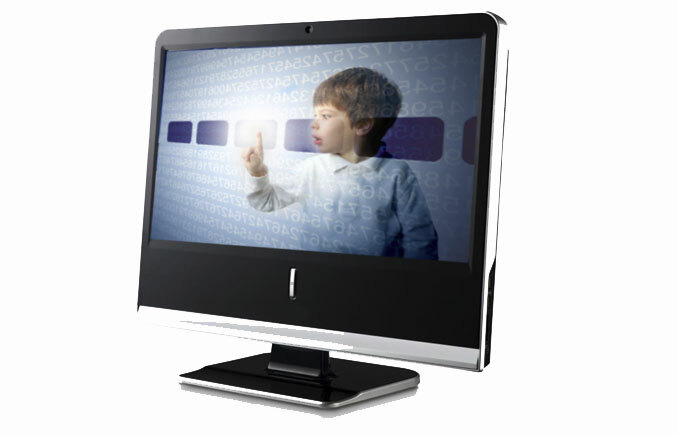 The new range of PoE computers by SkinnyBytes come equipped with a Touch Screen interface, which are going to deliver interactive learning experience to the classroom. They are compatible with the IEEE standard 802.3at for Power-over-Ethernet, providing up to thirty watts of power to a particular device throughout a standard network cable. The PoE Computers will also be equipped with lower-power Intel Atom Processing Technology and high capacity solid state drives, while the Display will feature LED backlighting. SkinnyBytes’ range of PoE computers will also utilize passive cooling technologies, without the need of any cooling fans. Thanks to this hardware, SkinnyBytes are able to reduce the power demand by ninety percent in comparison to traditional computers. Every SkinnyBytes System comes equipped with Microsoft Windows 7 pre-installed operating system with a TouchScreen interface for maximum functionality.